Keperra is a post-war suburb North West of Brisbane CBD, once occupied by the military camps in the 1940’s and later with the development of Housing Commission in the 1950’s. 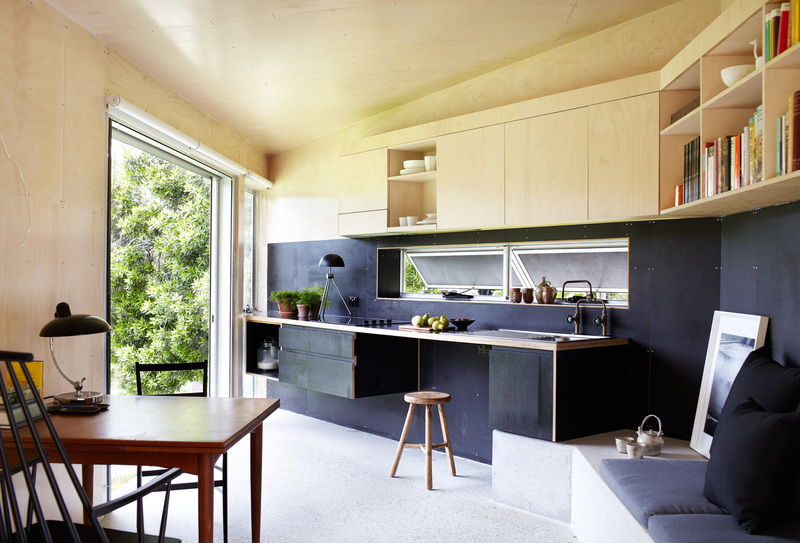 Designed by Atelier Chen Hung, the brief was to add a detached sole occupant flat on the existing property and to rethink the typology of the ‘granny flat’. 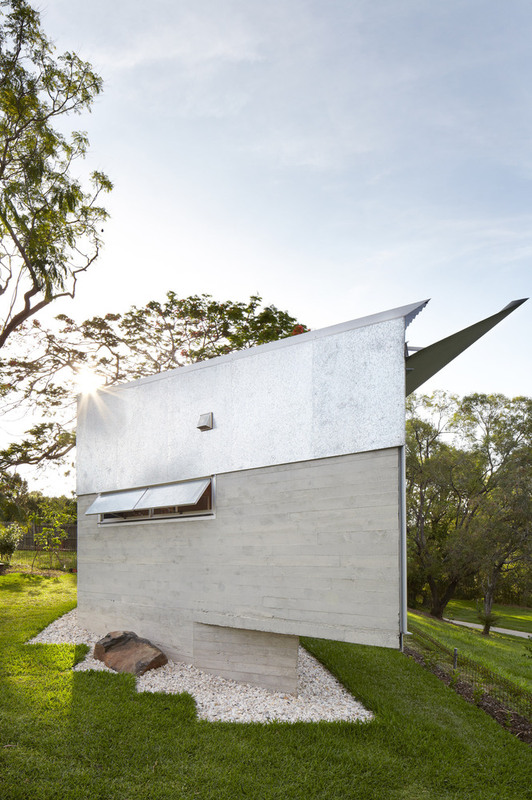 The dwelling is deliberately made to open up the Northern facade on to the natural settings of Kedron Brook creek reserve. 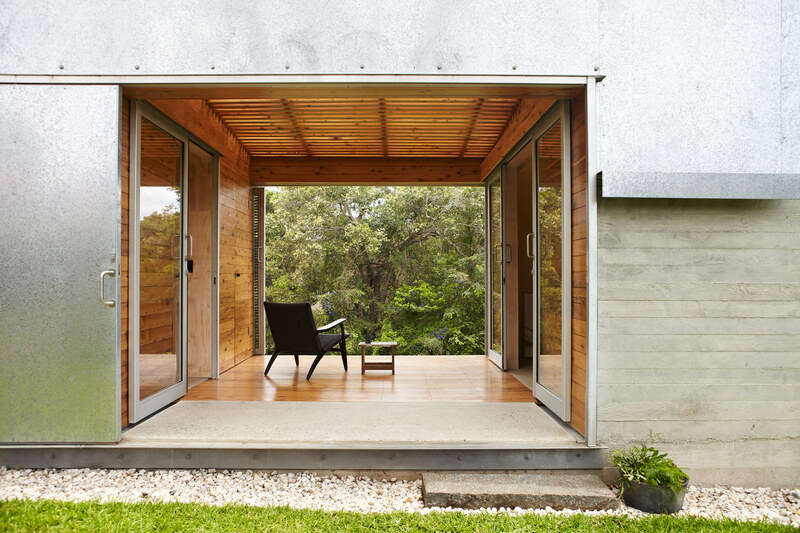 With the footprint kept at a minimum of 45m2, the small spaces amplify the sense of dwelling in nature. This rare edge condition between site, suburb and parkland has the potential for the occupant to have a connection with the daily activities of the parkland life. 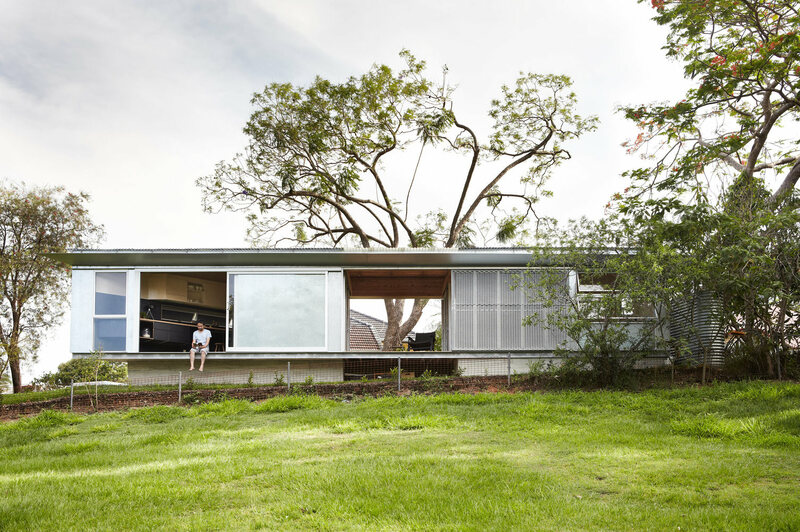 The elongated flat is paired with generous openings that extend the interior to the landscape beyond, while screening devices allow control of privacy from the occasional parkland strollers. 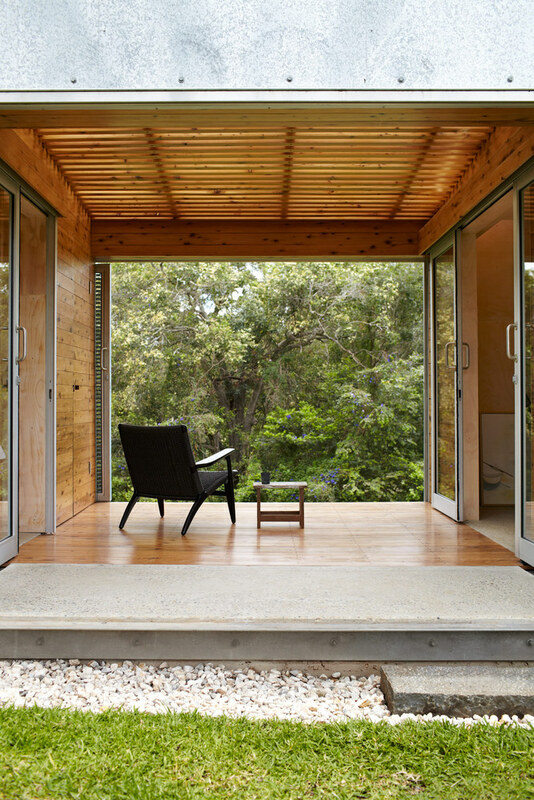 A string of three connecting rooms essentially makes up the home: living, semi-outdoor and sleeping. 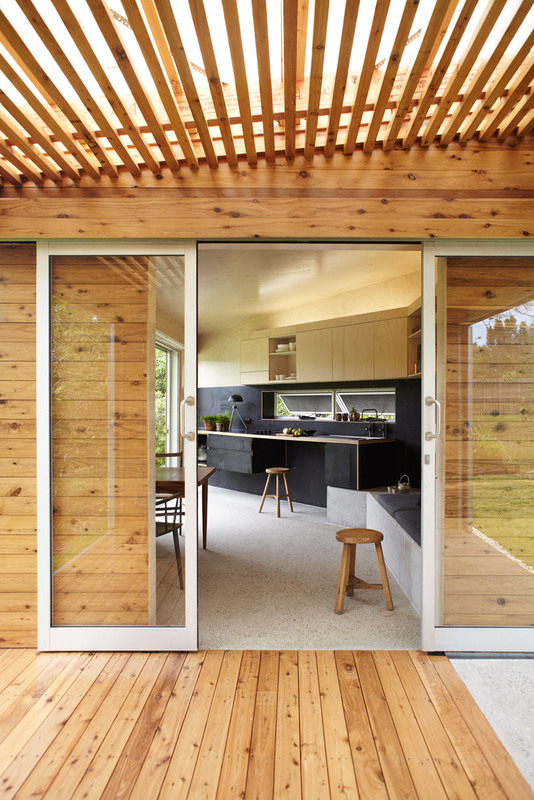 Robust construction detailing are utilised throughout the project, and resilient materials are used primarily in their raw state to deliver a low maintenance dwelling within a constrained budget. 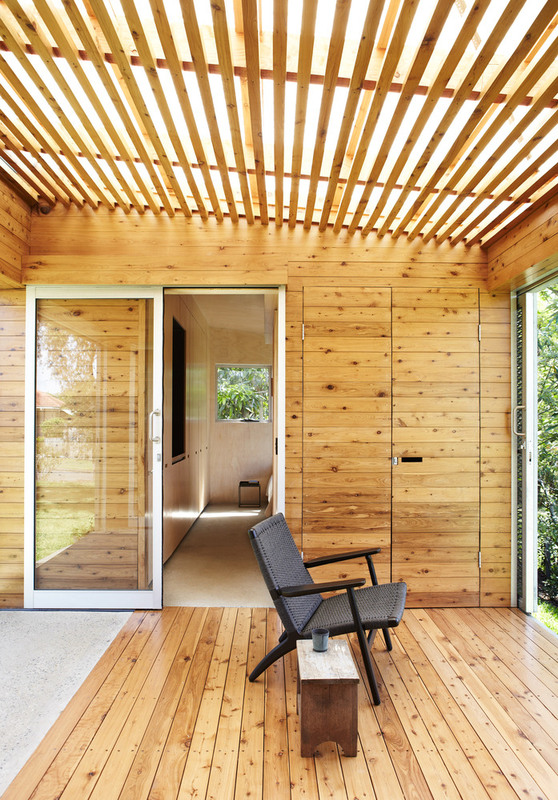 Internal spaces have a sense of warmth and softness, with the use of materials such as locally sourced Cypress Pine and Hoop Pine plywood panels throughout. 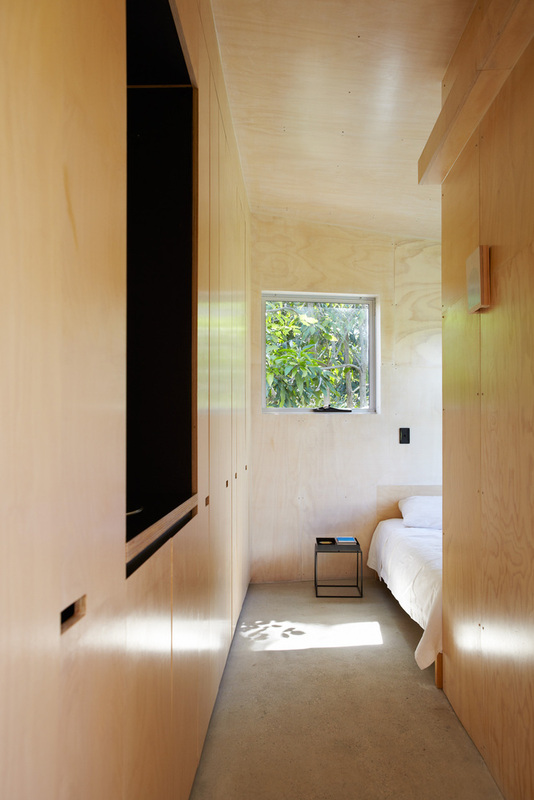 Material palettes have been kept simple to achieve a restrained and functional space, where storage units and amenities integrate within a concealed joinery wall. 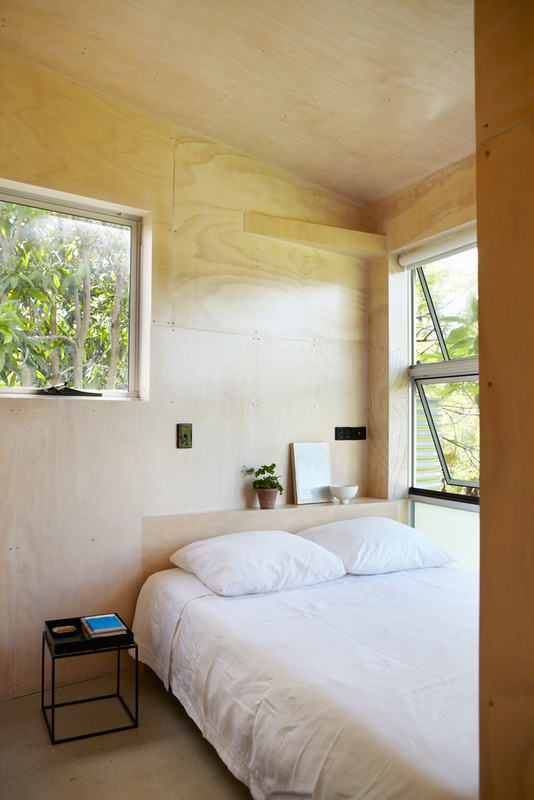 The project seeks to experiment the daily pleasures of compact living.